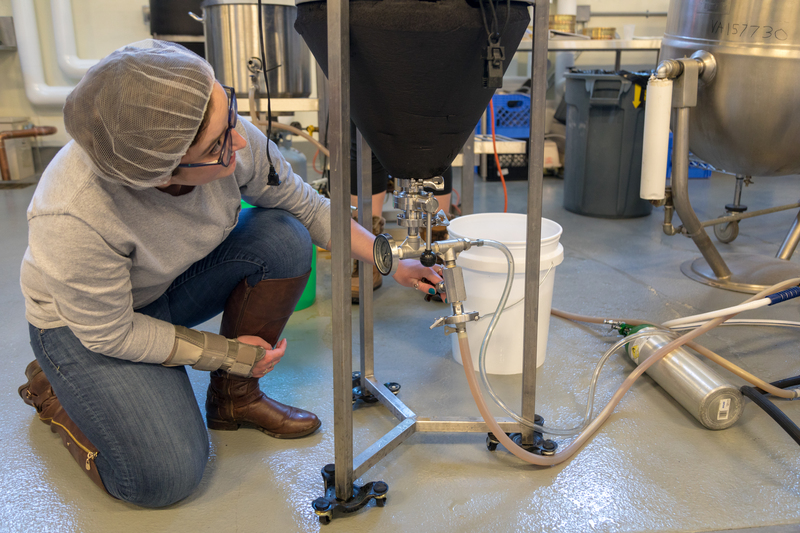 Casey Feher liked beer, but she didn’t completely fall for the ancient beverage until getting to know it better through Virginia Tech’s fermentation option. “I came into food science because I love the chemistry behind food, and in this one product I have literally found everything I loved about food science to begin with,” said the rising senior. 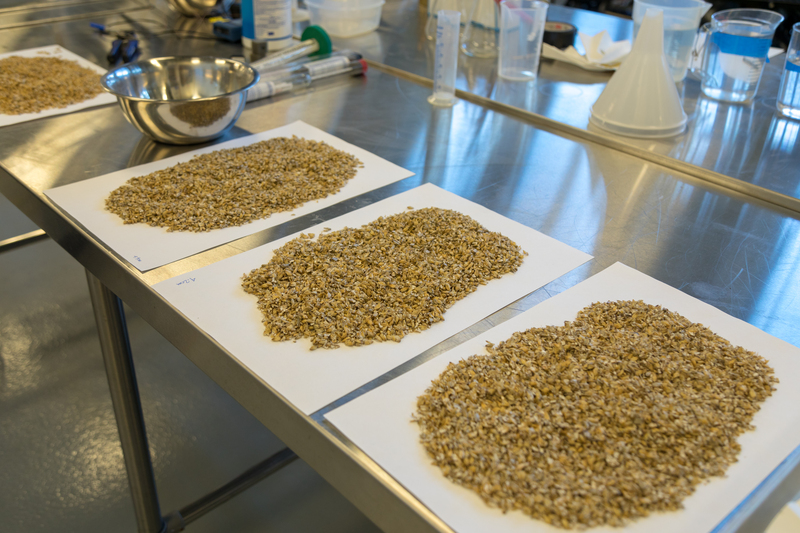 During the spring semester that infatuation drove Fehrer to spend up to six hours at a time in the university’s brewhouse as a part of Herbert Bruce’s Applied Malting and Brewing Science course. 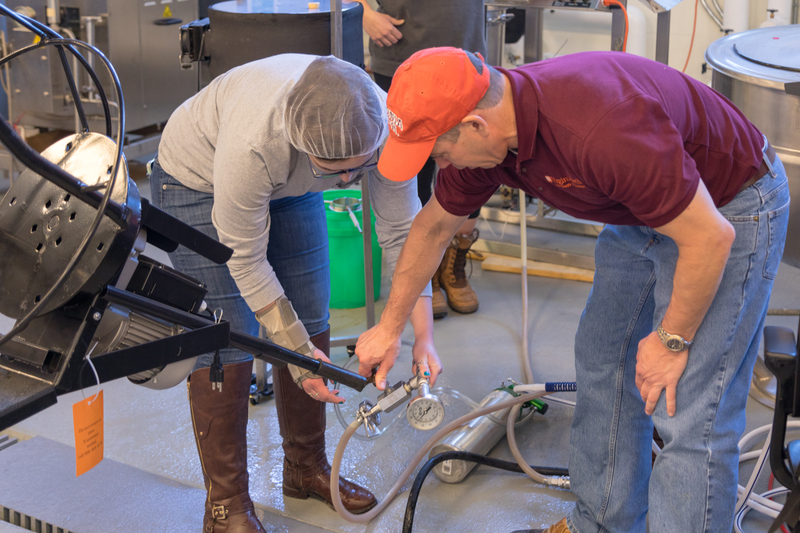 Herbert Bruce (in maroon), the associate director of the University Academic Advising Center, explains the operations of the brewhouse’s fermentation temperature control system. Home to a 2.5-hectoliter, professional-grade Esau & Hueber system, the Virginia Tech brewhouse maximizes opportunities for research and education, providing students with real-world experiences related to the chemistry, biochemistry, and processing aspects of malting and brewing operations. 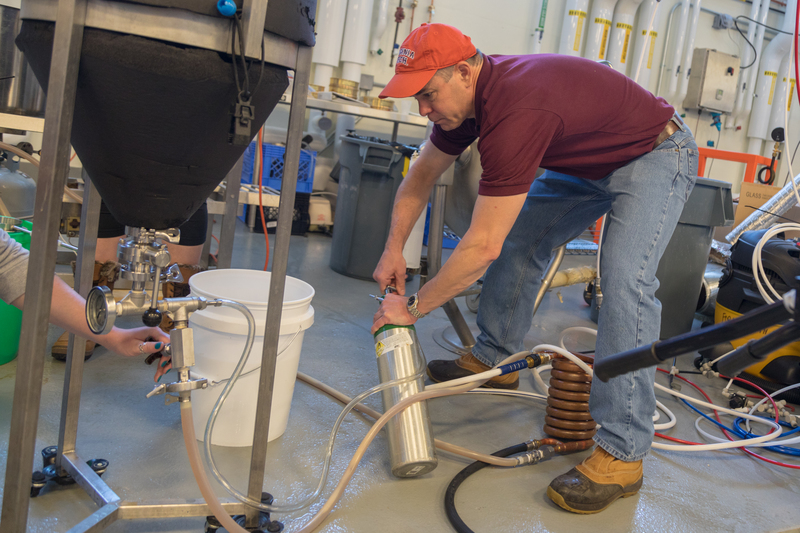 Bruce, the associate director of the University Academic Advising Center and a graduate of the University of California, Davis’ Master Brewers Program, began teaching the course in 2015. 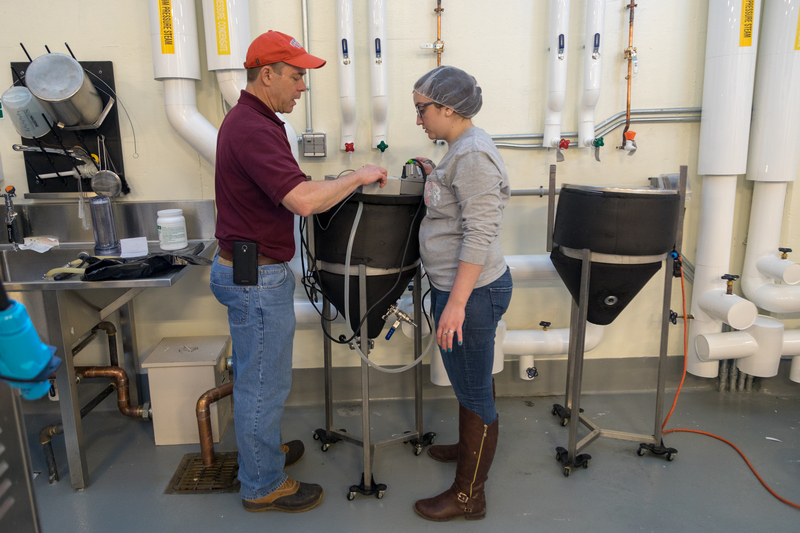 Virginia Tech’s fermentation option dates back to the early 2000s and food science and technology professor Sean O’Keefe’s independent brewing project in the Food Science and Technology Pilot Plant. 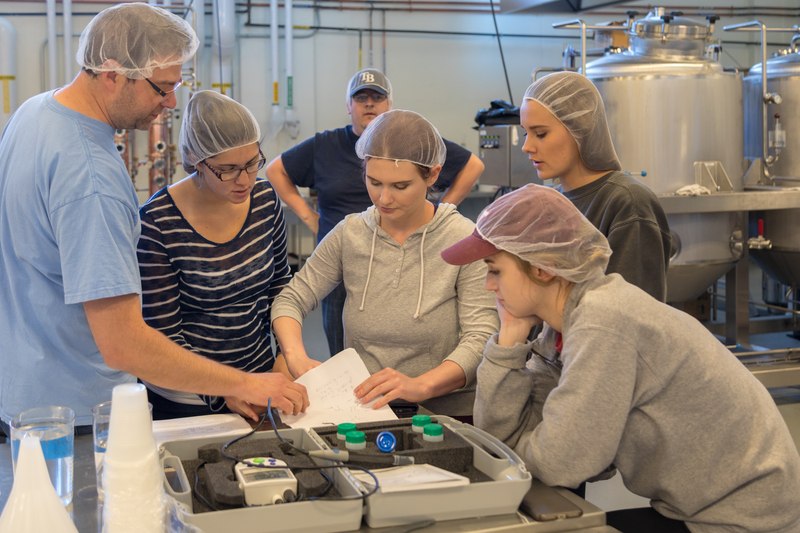 Brian Wiersema (in blue), who manages the Food Science and Technology Food Processing Pilot Plant, reviews mash and kettle pH evaluation techniques with students. In 2004, the earliest form of a brewing course started with 27 students. As the subject gained popularity, attendance increased to more than 400. Over the next 10-plus years, the growth of Virginia Tech’s program mirrored that of the craft beer industry in the United States. The Brewers Association for Small and Independent Craft Brewers reported that while beer sales overall were down 1 percent in 2017, craft beers sales grew 5 percent and made up 12.7 percent of the U.S. beer market by volume. 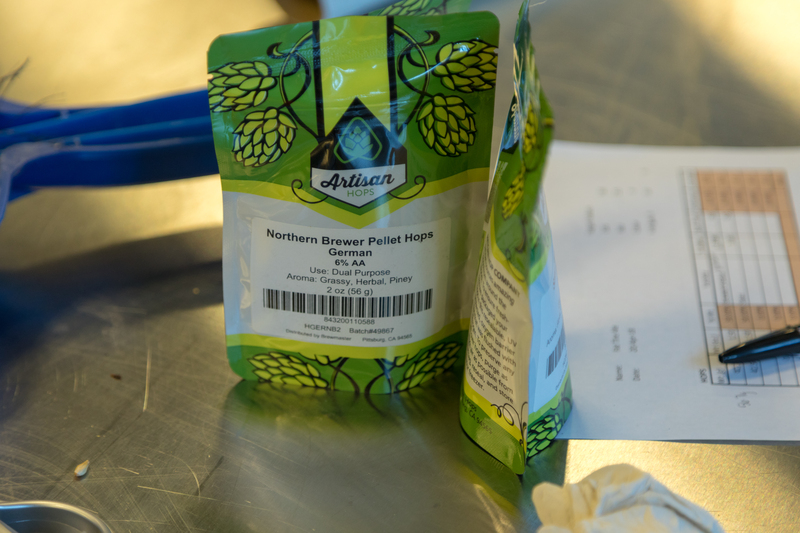 In 2013, Brian Wiersema, a 1998 graduate of the food science & technology program and a member of three national brewers’ associations, was hired to manage the Food Science and Technology Food Processing Pilot Plant, which houses Tech’s brewhouse. Later, Bruce joined the program, overseeing the more advanced course. 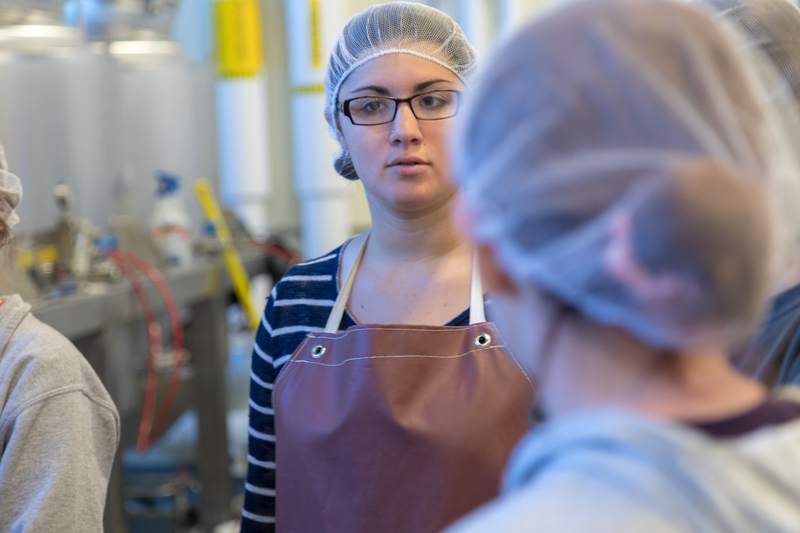 Today, food and beverage fermentation is one of four undergraduate program options within the Department of Food and Technology. 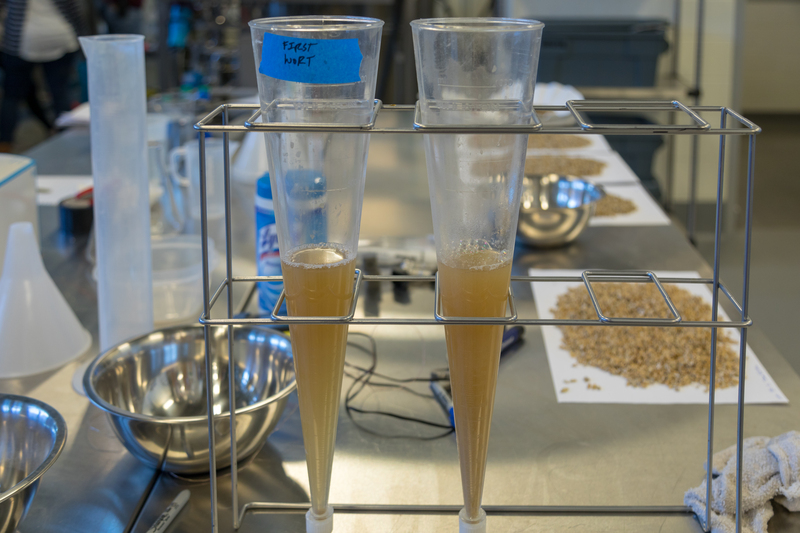 In 2017, the fermentation option became one of six four-year programs in the U.S. and Canada recognized by the Master Brewers Association of the Americas. and in the spring, four students took part in a student exchange program with Technical University of Munich and Weihenstephan, the oldest operating brewery in the world located just north of Munich, Germany. “It’s been pretty exciting over the last 10 years or so,” O’Keefe said. That excitement continues to attract students. 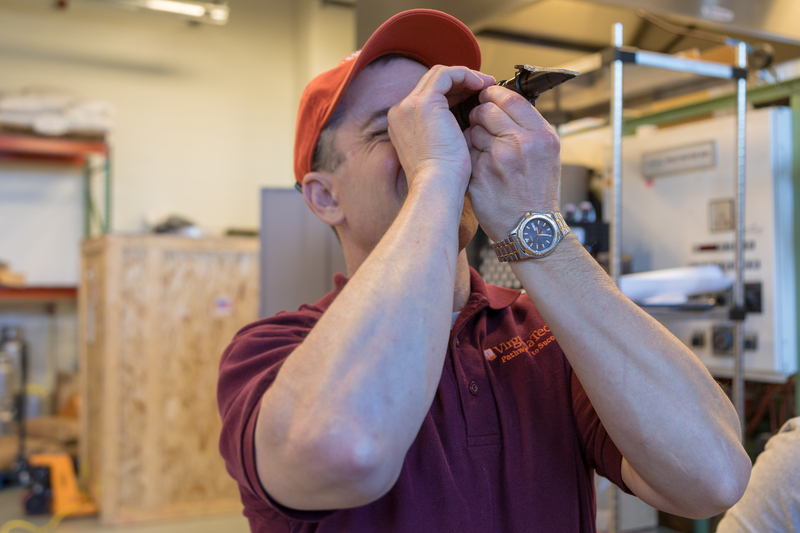 Herbert Bruce, the associate director of the University Academic Advising Center, oversees Virginia Tech’s more advanced brewing course. 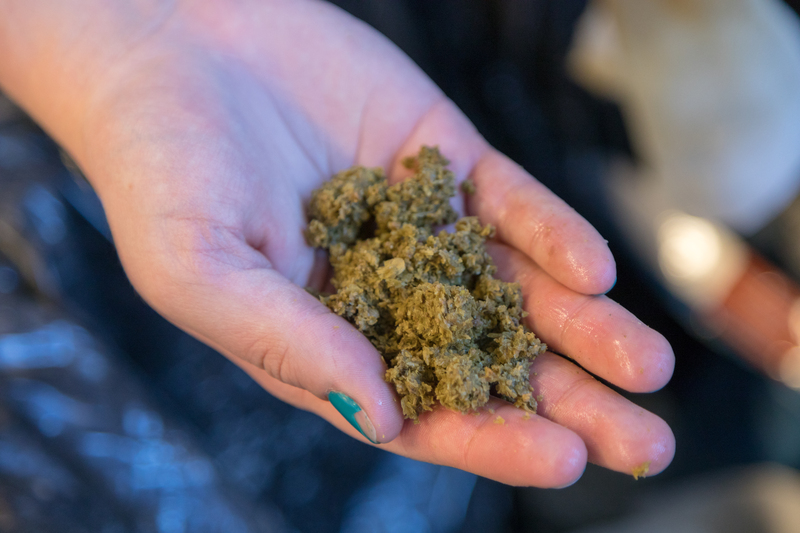 “It’s really, really interesting because we drink beer, but we never really think about the process of making it, so learning how to do it is really cool,” said Valerie Knapp, a junior food science & technology major. The students do not drink the beer brewed in the class, nor does anyone else. A portion is used for research, and the remainder is poured down the drain. However, there is hope that eventually Hokie-brewed beers could be featured on campus or at alumni events. The program fully equips students to work with a variety of food and beverage products that utilize the fermentation process. It’s actually rare for a program graduate to have trouble finding employment. 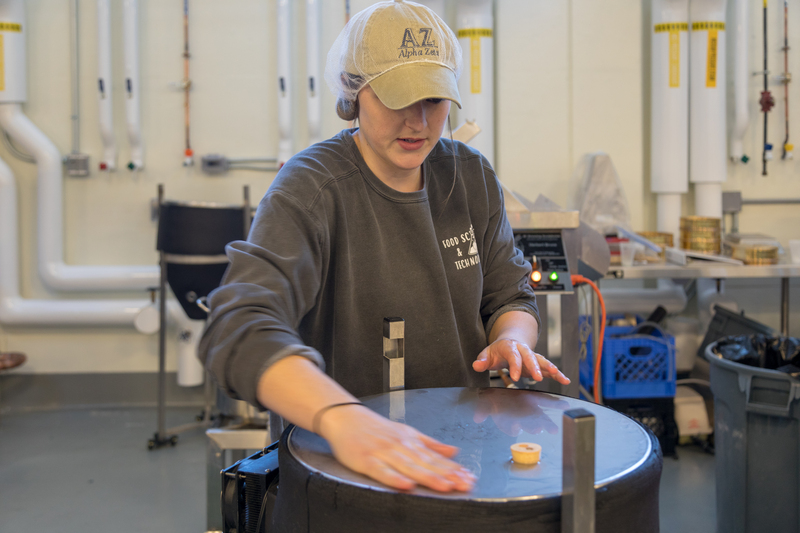 “That’s the nice thing about food science, even with the economic downturn a few years ago, we never had any problem with our students getting jobs,” O’Keefe said. 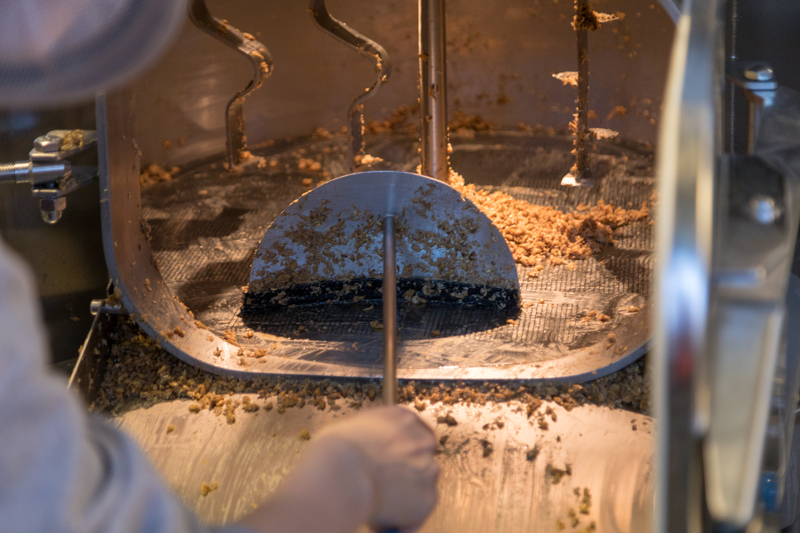 Spent grains are removed from the lauter tun. 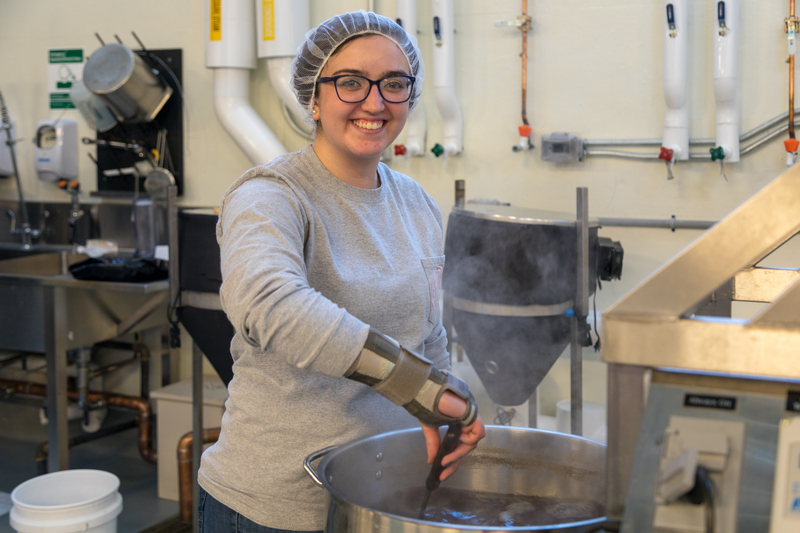 That’s encouraging for senior food science & technology major Mariel Jastrebsky, who said her experience in the Applied Malting and Brewing Science course opened her eyes to a potential career in brewing. “In this class you literally learn every single step, so I would feel pretty confident going into the industry at some point,” Jastrebsky said. It’s also opened her eyes to the kind of gritty, time-consuming work that comes with a career in brewing. Learn more about the Department of Food Science and Technology.